St Mark James offers re-certification courses for almost all of its first aid and CPR courses. These re-certification courses are designed for candidates that need to renew expiring or previously expired awards. Candidates need to meet a set of prerequisites in order to attend a renewal course. Stand-alone CPR re-certification courses (find a re-cert provider near you) are cheaper and shorter than the original CPR course. 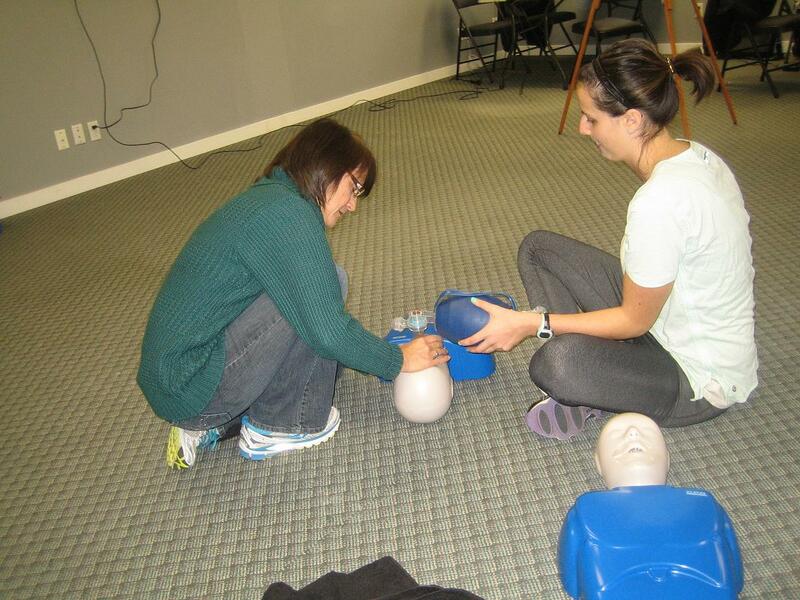 All CPR renewal courses include training and certification in automated external defibrillators (AED)’s. Candidates that have completed a course with these providers are eligible for a St Mark James re-certification course. Courses completed through a on-line course are not eligible for renewal. Finally, to be eligible for a St Mark James CPR re-cert course, candidates must have completed the last certification course in Canada. St Mark James certification is not internationally accredited, only nationally. Candidates that have certificates from a provider outside of Canada must contact St Mark James to receive approval for re-certification. Candidates that complete the skills component and the multiple choice test with a minimum score of 75% will receive a St Mark James re-certification award. This award is valid for 3 years and is a nationally accredited award. Candidates will receive a wallet size certificate with the optional wall mounted award which may cost extra. Click here for more. CPR level “C” and AED. – This is a 4 to 5 hour course. Health Care Provider CPR (CPR HCP) and AED – This is a 4 to 5 hour course. Register for a St Mark James CPR re-certification course today to keep your skills, knowledge and certification up to date.